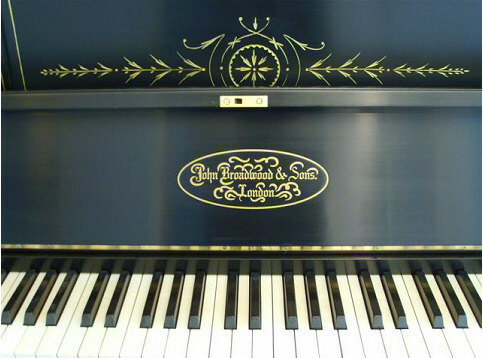 Broadwood Cottage Upright No: 46487 7 octave. Prince Albert's memorial, limited edition. 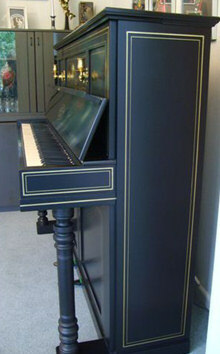 Fully restored to its original standard; inside and cabinet. Performing standard. 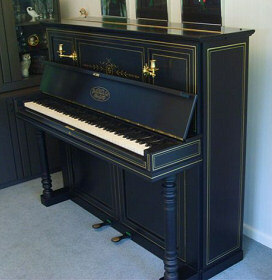 Wooden framed, treble stringed with agraffes, over damped, ivory and ebony keys. 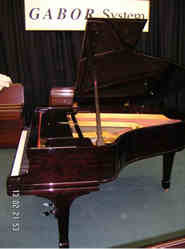 Steinway Grand Model O, # 124652 Made in Hamburg November 1906 Rosewood case, polyester high polished finish. Original ivory, ebony key covers. 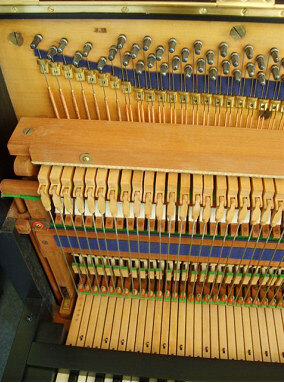 Key frame and keys are restored original, action parts; levers, hammershanks, hammer heads, action felts are new Steinway parts. Original sound board, iron frame re gilded and lacquered, new set of bass and treble strings and damper felts. The Steinway grand piano was purchased by The Free Trade Hall from Steinway Hall London, and it has been the property of the hall until its building transformation from concert hall to Radisson Hotel. At that stage the piano become the property of the Library Theatre for some years. 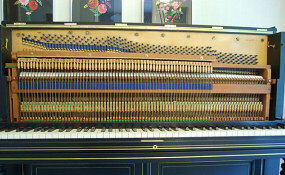 In 2002 I purchased the piano from the Library Theatre to restore it for myself to its original standard to perfection. The piano have a distinct on stage career at The Free Trade Hall where it was used by many famous musicians, the late John Ogden, Oscar Peterson, Bob Dylan and an endless list of top artists who performed in concert.